Rafting in Nepal is one of the most popular tourism activities in the country as it is the second richest countries in the world in terms of water resources. There are more than 1300 rivers and small streams and many of them can be used for rafting. The white water rafting in Nepal is one of the most popular water adventure sports can only be done here, as the water flowing directly from the Himalayas. The River adventure is not only for encountering with challenge of the torrential rapids of the mountain river but also to explore a typical cross section of the country’s natural and ethno-cultural heritages. The northern part of Nepal is confined by the ever snowing mountains- Mt. Everest, Annapurna, Dhaulagiri, Manaslu and numerous peaks. The melting snows of these mountains enrich Nepal to be the richest country in water resources. Therefore, it has made the country best for whitewater rafting and kayaking. Nepal is paradise for the rafting and has earned the reputation of being one the best destinations for white water rafting in the world. The rivers in Nepal are the best among the rivers in the world for river rafting sports, and it is obvious that the white water rafting in Nepal is never-ending thrills in the untamed rivers. Therefore, it is no doubt that cruising down to rushing rivers of crashing waves and swirling rapids can make up excitement of a lifetime. You may have remarkable experience, while rafting/kayaking in white water in the rivers, as thundering waters coming from the glaciers of the great Himalaya. The variety of flora and fauna, the cultural heritage and charming smiles of innocence ethnic groups of people alongside the rivers are really awaiting of your arrival. All the major rivers that are created from the Himalayas and running down to the mountains, which offer tremendous and exciting experience of white water rafting to anyone who wish to have at least give a try once. Nepal river journey is one of the most enjoyable and effective ways to experience the life of rural areas and a spectacular scenery of natural beauty. 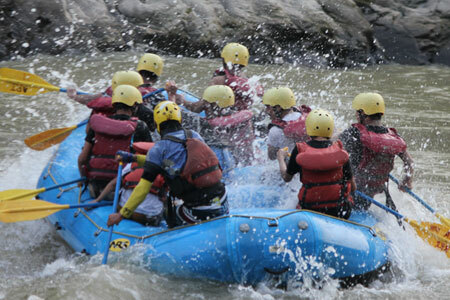 Advent Himalaya Treks has professional rafters and arranges the rafting in such thrilling white water with safety. Our top preference is to provide quality service with safety to every client. 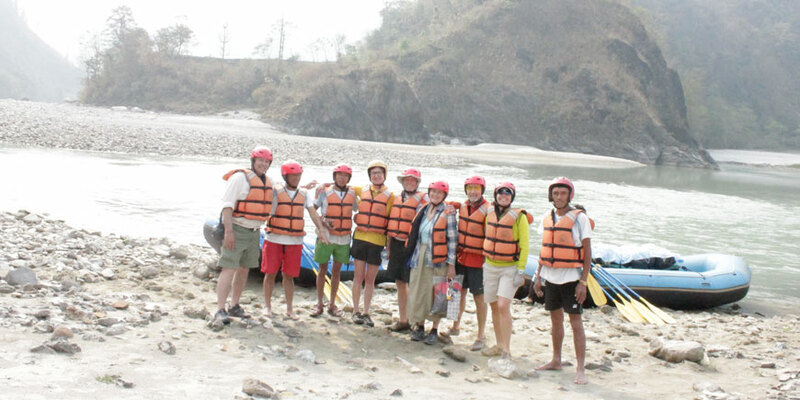 Our rafting guides inform all the aspects of rafting and river safety before starting of each journey. Safety Kayakers are always along on high water expeditions. The river rafting mostly in--Trishuli, Seti, Bhote Khosi, Kali Gandaki, Marshyangdi, Sun Koshi, Arun, Karnali, Tamur – provide one the world's most thrilling for the adventure lovers. Grade 5-5+ rivers with raging white water rapids for the adventurous, to Grade 2-3 Rivers with a few rapids for novices. The options include paddling, oaring and kayaking. Paddling requires all on boat to participate with instructions from river runner. In an oar boat, the guide rows alone, giving participants a chance to observe the surroundings. Kayaking is another way to travel downstream. You can package river running itineraries along with a trekking, a wildlife safari and a cultural tour in the area. Until you are with Advent Himalaya treks’ team, you do not need to worry on anything the well-experienced team of it will take care of all. Nepal has one of the best rivers in Asia and in the world where one can arrange any kinds of water sport in it either that be a rafting or kayaking with the professional sports guides. Nepal is a second richest countries in the world in terms of water resources it is renowned especially for white water rafting besides mountains, cultural heritage, natural beauties among others. 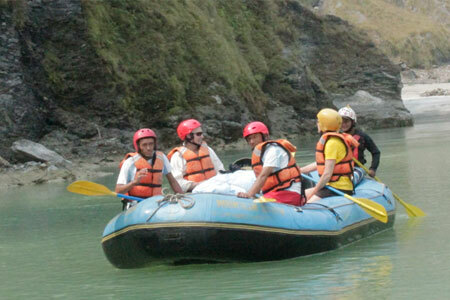 The rafting in Nepal has been becoming extremely popular in recent years. The well trained and well experienced staffs of Advent Himalaya treks make your trip successful and interesting. The river sports can either be shorten or lengthen from two-day floating down to the Seti River to an exhilarating 10 or more-day adventure through the rapids of the remote Tamur, Karnali there is an experience for everyone waiting in Nepal’s famous white waters. There are many rivers in the Nepal --Trishuli, Kaligandaki, Sonkoshi, Bhotekoshi, Marshyangdi and Arun whereby one can have fondest experience. The rivers in Nepal change with the seasons. Every year, after the heavy monsoon the water swells, changing the flow of the rivers and the nature of the rapids. New rapids are created and the river sports become more difficult and some simply impossible to navigate. We have long been monitoring changes, organizing the river sports in different rivers in Nepal and their rapids, so that we can always ensure the safety of our clients and plan expeditions with the great care. The most excellent times for rafting considered to be September to early December and March to early June. From early September to early October and May to June the rivers can be extremely high with monsoon run-off. Any expeditions attempted at this time require a very experienced rafting company with an intimate knowledge of the river and strong teams, as high flows are potentially the most dangerous time to be on the river. From mid October onwards the weather is settled and this in one of the most popular times to raft, In December many of the rivers become too cold to enjoy and the days are short with the start of the winter. The summer season from March to early June has lower water flows to begin with, which generally means the rapids aren't as powerful. The rivers rise again in May with pre-monsoon storms and some snowmelt, and then we can still organize the sport.